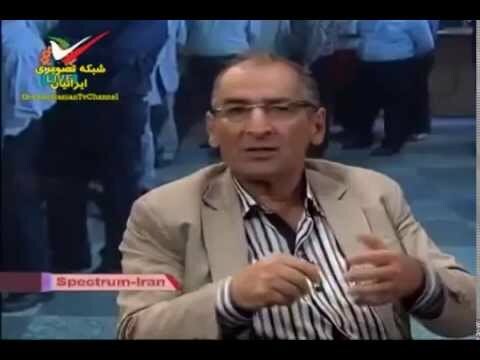 On Wednesday, Tehran University Professor Sadegh Zibakalam, one of Iran’s leading political scientists and a prominent analyst on international media, was summoned by the Prosecutor General for questioning. After he was served an official complaint and interrogated, Zibaklam was released on bail of 50 million Tomans (about $20,000). Zibakalam’s “crime”? In an open letter to the editor of the hard-line newspaper Kayhan, He had questioned whether Iran’s nuclear program benefitted the country — presented in the complaint by the Prosecutor General as “spreading lies, slandering and insulting the judiciary, spreading rumors, engaging in propaganda against the regime and weakening it, and disturbing public peace. They say that Iran’s international position has been elevated because of the program, or that respect for Iran has increased because of it. My question is: what is the international position of North Korea and Pakistan, which have an even more advanced nuclear program? The answer is that they have none. It is not true that our position has elevated because of the nuclear program and in fact it has gone down and the program has created problems for us. A large number of world powers have become enemies with us…. Even if all the members of the UN agreed with our nuclear program we should still not spend so much money on it. Should a country that is among the most backward states in the world in areas of health, education, and environment and is at the level of some undeveloped African countries, not have its priorities in health, education and the environment? Should its priorities not be in dealing with the issue regarding its drying rivers such as Zayande Rood and lakes such as Orumieh? Regardless of whether the Americans support or oppose our nuclear program, our economic priorities should not be to make such heavy expenditures for it. If they are really concerned about the economic condition of people, then why do they defend the economic embezzlers and those who steal from public funds and the defenders in the three trillion Toman embezzlement case (a $2.6 billion bank fraud revealed in September 2011)? I wrote a second letter which the prosecutor characterized as criminal. The prosecutor specifically told me that I did not have the right to write what I did about the nuclear issue and had no right to say that the nuclear program has had no benefits for the country. NextSyria: Assad Regime — What Problem with Chemical Weapons?